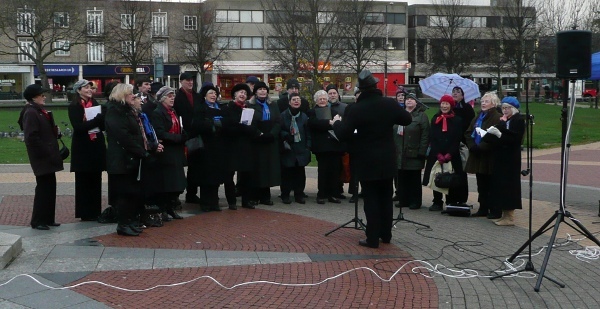 Cllr Nick Draper had invited us to sing carols in Mitcham town centre to support his Mayoral charities. Unfortunately someone scheduled it for a Sunday afternoon when most of the shops were closed, but it gave a good chance for Matthew to test his new public address speakers (supplied from the mains, rather than pedal power). Just after we'd finished, the heavens opened. 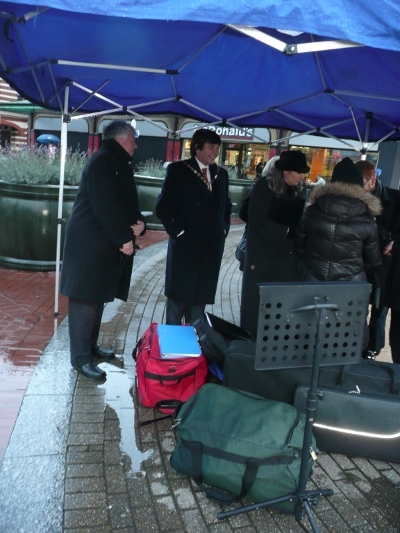 Fortunately the council had brought a small gazebo under which we hurredly stashed all our equipment.